Interest in adopting solar energy is growing among business & home owners across the USA, and many of these energy consumers have questions related to the options available for integrating solar PV systems onsite. Purchasing a system outright has a number of benefits including Federal Tax Credits and depreciation (if a customer is a taxable entity, with tax liabilities). The energy consumer owns the system and utilizes the power generated by the system, for the life of the equipment (typically 25-35 years). The downside to this approach is that it also entails a significant cash outlay that may be too rich for existing capex budgets. Additionally, if anything goes wrong with the system any maintenance, repairs or upkeep are the responsibility of the energy consumer. Another methodology utilizes a Power Purchase Agreement (PPA). A PPA is a long term agreement (generally 15 to 25 years) that typically has no upfront cost. Using a PPA, the energy consumer is charged a set electric rate which is typically below their current cost of electricity, allowing them to save money from day 1. The PPA rate either remains flat, or escalates at a fixed rate (usually 1-2%) over the course of the agreement. If electricity costs rise (due to energy inflation) at a faster rate than the escalator rate within the PPA, then the energy consumer will realize exponential savings annually, throughout the term of the agreement. 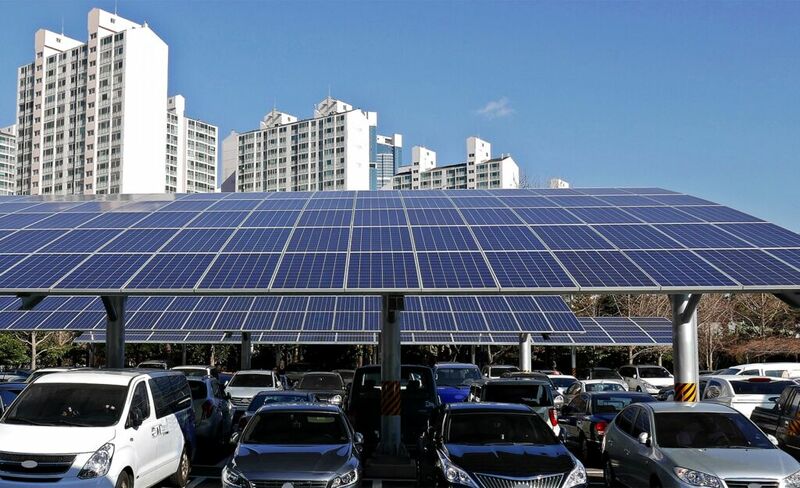 A solar PPA is not a financing mechanism, however, like traditional loans or leases. Once the initial term has ended, the energy consumer usually has the right to purchase the system for fair market value, or enter into a new PPA at a reduced rate. Another significant difference is how PPAs and Leases are treated on an energy consumer’s balance sheet. PPAs are typically not found on a balance sheet, as are loans & some leases, therefor many energy consumers prefer PPAs as they tend to not limit borrowing capacity. Power Purchase Agreements are most useful for tax exempt entities, such as non-profits like municipalities, churches, and public schools. Since non-profit entities are unable to benefit directly from available tax benefits (like the Federal Investment Tax Credit and depreciation) from owning a solar PV system, utilizing a PPA from SCF is the most cost-effective way to adopt solar energy. In this scenario, SCF would monetize the tax benefits as the system owner, and then pass on these benefits to the customer in the form of lower PPA rates. A Solar Lease is a medium term obligation often utilized by for-profit entities especially in territories where PPA’s are not allowed. Unlike a PPA, the off-taker pays a fixed lease payment instead of paying for the power generated by the solar system. Most Solar Lease programs have term lengths between 7-10 years, and most will likely have a residual payment that would need to be paid at the end of the lease term if the customer is purchasing the system. 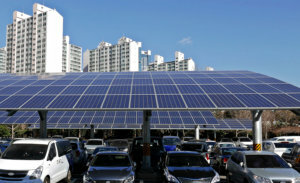 Since the term length of the lease is considerably shorter than a typical PPA term, the ability for the customer to save money in the system’s first year of operation is usually limited, and in most cases will require the customer to pay more than they would otherwise pay for their energy consumption. One often overlooked fact of Solar Leases, is that they require the customer to perform system maintenance on the solar array during the lease term. If the system stops working for any reason, the customer is still obliged to make the lease payments whether or not the system is producing electricity. Why Choose a PPA or Lease Instead of Outright Purchase? Some people may wonder why purchasing their solar PV system outright isn’t a better choice, as opposed to a PPA or a Solar Lease, and the answer may depend on both location and business type. As mentioned previously, tax exempt entities are unable to benefit from tax benefits, meaning a Power Purchase Agreement would be much more cost-effective. For commercial and industrial off-takers or other for-profit entities, the answer often comes down to available CAPEX budget and maintenance. Solar panels and inverters do fail, and when they do, it’s very beneficial for an energy consumer to be able to rely on the PPA provider to monitor its system, and to pay for repair and maintenance rather than covering that expensive work out of their own pocket. The fact that the array can be purchased outright at the end of the agreement also means that there’s no need to worry about losing the benefits of ownership once the PPA or lease term is up. How Does SCF Help Consumers Save with PPA’s? SCF utilizes the Solar Access to Public Capital (SAPC) Commercial Power Purchase Agreement for all of its projects, which is an industry standard PPA. This reduces legal costs, complexity, and project transaction costs, which permits SCF to offer better terms to energy consumers. Using SCF’s proprietary software, the SCF Suite℠, members can instantly price their projects and try various options in order to evaluate project economics. If you are evaluating a project and would like to learn more, please don’t hesitate to contact Dan Holloway @ dholloway@scf.com or fill out the contact form to get in touch with SCF.